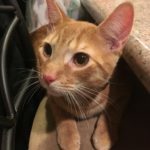 Michael is a 9 month old orange tabby. He’s polite, sweet and affectionate. He gets along wonderfully with other cats and is okay with dogs as long as they’re not too hyper. He lived with an older woman, but was too much for her and used to get under her feet a lot, which was cause for concern of her falling, so unfortunately she could not keep him. 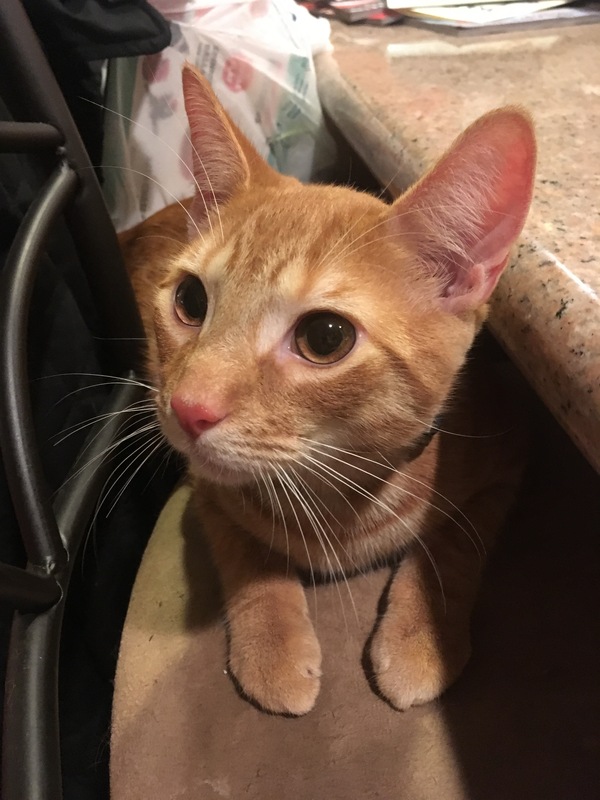 He’s a wonderful little boy and would do well in any home. Will you give Michael a second chance at a great life?